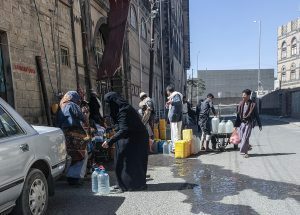 The United Nations (UN) estimates that 16 million Yemenis need humanitarian assistance to access or maintain access to safe water and sanitation. 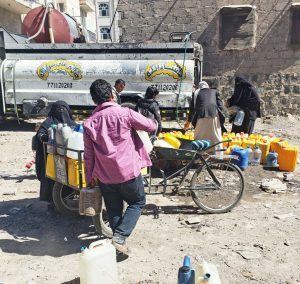 In total, US$153 million have been allocated to meet water, sanitation and hygiene needs (WASH) according to the 2018 Yemen Humanitarian Response Plan issued by the Office for the Coordination of Humanitarian Affairs (OCHA). However, humanitarian organizations’ current strategies of providing aid not only lead to funds being wasted but also create dependency for short-term aid measures. Instead of continuing emergency activities which harm the long-term development of a community, aid organizations should develop a more sustainable approach to aid with the participation of target communities, while taking into account the specificity of each region. Only then can communities become resilient. In response to the humanitarian crisis in Yemen, more than 150 organizations, including UN agencies, are engaged in emergency response. As of the beginning of December 2018, OCHA provides $2.4 billion in funds to these organizations, which is estimated at 80 per cent of the funding required to meet Yemen’s humanitarian needs for 2018. Part of the aid strategy is the unconditional monthly distribution of food, provision of potable water through water tankers, and mobile clinics in areas where public health facilities are available. This aid distribution is done without broader consideration of the negative impact of the development of dependency on aid organizations. Of course emergency humanitarian interventions are crucial during times of crises and disasters; however, their continuation poses a challenge to rationalizing resource consumption and working towards a more effective use of funds. Humanitarian response organizations can minimize these challenges by shifting their focus to meeting needs through sustainable interventions and contributing to community resilience against future crises. Water supply through water tanks is considered among the least effective interventions in terms of funds use and sustainability. For water to be distributed in this manner, temporary reservoirs are installed in neighborhoods or villages, which are filled with water by hired tankers transporting water from source (e.g. hand-dug wells, springs or artesian basins). The magnitude of this approach becomes visible when we analyze the costs of this method and compare with the cost of public water projects, namely the maintenance and restoration of water systems and networks. 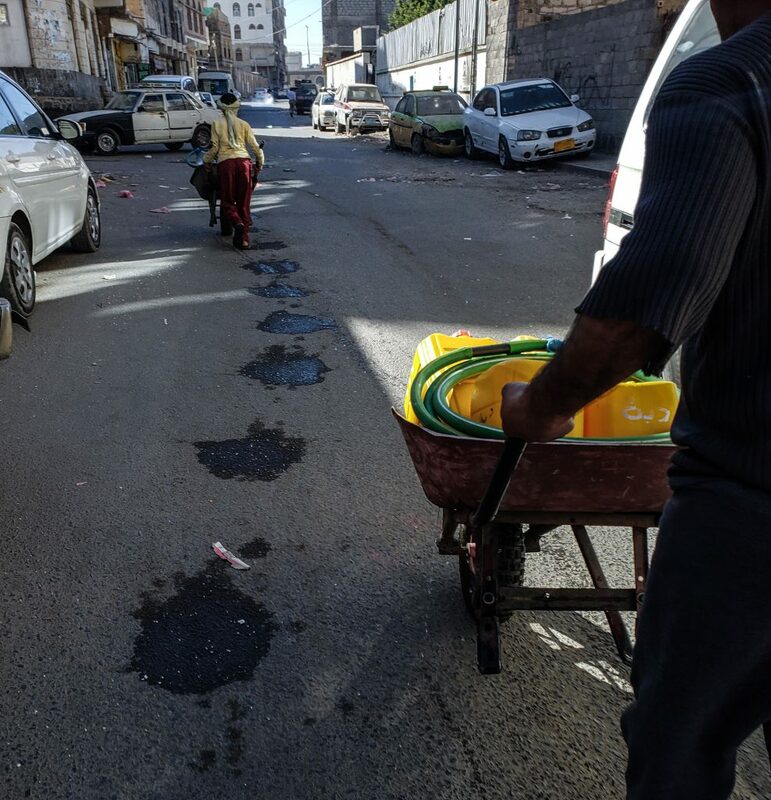 For 20,000 beneficiaries in a non-urban area to be supplied with water through tankers – for example, in Taiz governorate – there would need to be approximately 35 2,000 liter water tanks installed, which would have to be filled twice a day. The cost of one water tank is about $700, so 35 water tanks would cost $24,500. Considering that 15 liters are required to cover one person’s water needs per day, the total water demand of 20,000 people per day amounts to 300,000 liters, at a cost of $0.01 per liter. In other words, the cost of supplying potable water to 20,000 beneficiaries per day is $3,000; providing water to 20,000 people with water tankers for six months would cost slightly above half a million dollars. Studies have shown that if public water networks in non-urban areas were maintained or restored, they could serve 20,000 beneficiaries at a cost ranging between $50,000–200,000. This represents 10 to 40 per cent of the total cost of the provision of water with water tankers. As well as being more cost efficient, this approach is also more sustainable. As public water systems would be restored, long-term community resilience would be a beneficial consequence. In 2017, the OCHA annual report stated that approximately 153,000 beneficiaries received clean water through water tankers under the 2017 Humanitarian Response Plan. This intervention cost at least $3 million. How many public water systems – that are currently out of service – could this amount have rehabilitated? Perhaps there is a belief that providing targeted communities with lifesaving clean water through water tankers while at the same time working on sustainable rehabilitation is a way to target both urgent and long-term needs. From the moment an emergency need is identified until the implementation of the water supply activity, most organizations require up to three months. In the meantime, beneficiaries manage their own supply of potable water without the help of aid organizations. This shows that organizations can abandon short-term, emergency water supply, and instead work directly on the rehabilitation of public water projects to ensure sustainability and cost efficient use of funds: beneficiaries would receive safe drinking water at a lower cost and for a longer period. Following the principle of rationalization of consumption, the WASH sector and its partners have a duty to re-think their approach. They must follow a sustainable approach, designing projects and identifying needs and priorities in a manner that allows them to act sustainably, with the involvement of local communities. sures in the face of famine, the collapse of the health system, and other humanitarian issues affecting Yemen. *Aiman is an engineer and writer, working in the humanitarian field with I/NGOs in Yemen in multi-sectors such as WASH and Cash for Work, Food, Health.